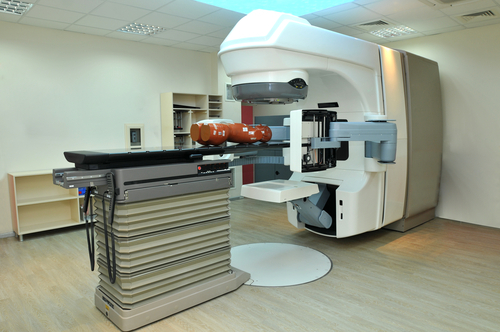 Radiotherapy is a highly targeted and effective therapy that kills primary tumor cells located within the field of the radiation beam. In breast cancer patients, it can be used to destroy cancer cells in the breast that are likely to prevail after surgery while at the same time reducing the risk of breast cancer recurrence by about 70%, since cancer cells are more susceptible to the effects of radiation therapy than normal cells. However, recent findings published in Cell Reports by Stanford radiation oncologist Edward Graves, PhD, and research associate Marta Vilalta, have gathered evidence that irradiation of breast tumors can attract migrating breast cancer cells back to the site of the initial tumor. The team aimed to assess the incidence of tumor cell migration in the context of radiotherapy while specifically evaluating whether radiation influences this process. They studied mouse and human breast cancer cells both in vitro and in vivo and found that irradiated cells secrete granulocyte macrophage colony stimulating factor (GM-CSF), a protein secreted by certain cells of our immune system that functions as a white blood cell growth factor. By blocking the cells’ secretion of GM-CSF, the researchers found that their ability to recruit other cells to the cancer site was significantly compromised. These findings are particularly relevant, since cancer patients are often treated with injections of GM-CSF to stimulate the production of infection-fighting white blood cells that are damaged during chemotherapy. 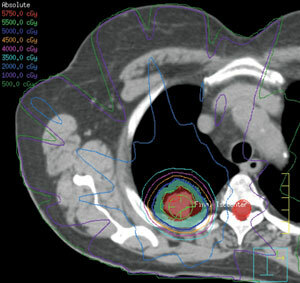 Nevertheless, the scientists say that radiotherapy should not be excluded as a treatment. Instead, future work should evaluate the association between clinically measurable variables and develop therapies blocking the effects of radiation-induced overexpression of GM-CSF, such as neutralizing antibodies. 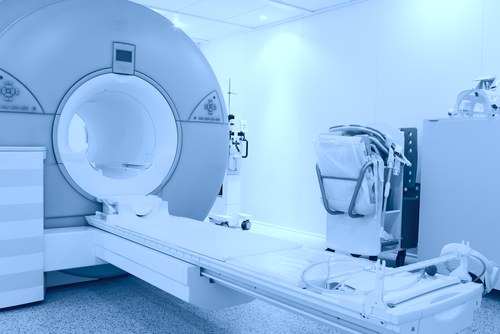 These findings are clinically relevant and can help pave the way to further optimize patient outcomes following radiotherapy. Tagged breast cancer, Dr. Edward Graves, Dr. Marta Vilalta, GM-CSF, radiotherapy.